John Woolman was born in New Jersey, USA. He was an American merchant, tailor, journalist, itinerant Quaker preacher and abolitionist. 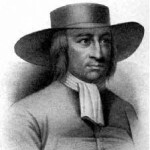 He traveled through frontier areas of British North America to preach Quaker beliefs, and advocate against slavery and the slave trade, cruelty to animals, economic injustices and oppression, and conscription. In 1772, he traveled to England, where he urged Quakers to support abolition of slavery. He published numerous essays, especially against slavery. He kept a journal throughout his life; it was published posthumously, entitled The Journal of John Woolman. He wrote several books include: Considerations on the Keeping of Negroes, A Plea for the Poor, and Walking Humbly With God.